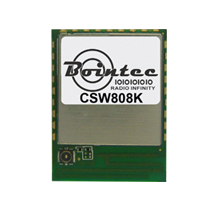 Bointec CSW808K is a low-cost, low-power consumption IOT module. The CSW808K integrate Wi-Fi single chip, which supports IEEE 802.11b/g/n stream, providing GPIO for intelligent control, and UART interfaces for device communication. 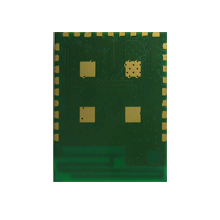 CSW808K integrate PCB Printed antenna and 4Mbits flash to reduce customer platform size. And also integrate power manage unit for single 3.3V power source for cost effective design. Bointec CSW808K embedded 32-bit RISC MCU for 802.11b/g/n drivers, supplicant, TCP/IP protocol stack, and networking applications, can be operated in station mode and softAP mode. CSW808K is an ideal solution for embedded device to enable networking service with minimized design effort.